Three Little Búhos: Payday Shopping Treats! I got paid! Woo! Everyones favourite day of the month. Most of the month I try to be good with money and limit shopping, especially recently when my hours haven't been as high as is ideal but this month I've treated myself to some bits and pieces since there seems to be sales on everywhere at the moment! My first stop was Cath Kidston because I happened to be opposite the shop when I spotted the big sales signs and thought it would be rude not to! 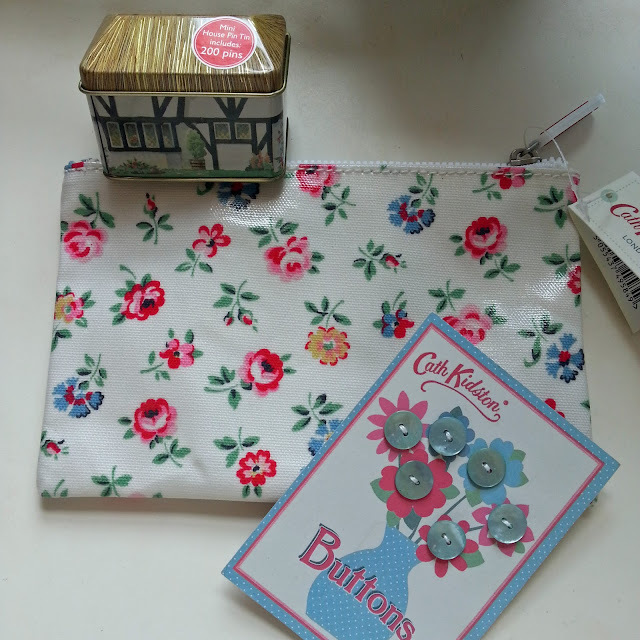 I picked up a few little bits here including one of the cute oil cloth makeup bags for £4 which went straight in my handbag and some shell buttons £1.50 and a pin tin £2.50 to go in my sewing box ready to create beautiful things. Next was a trip down to Boots because I've been needing a new foundation. 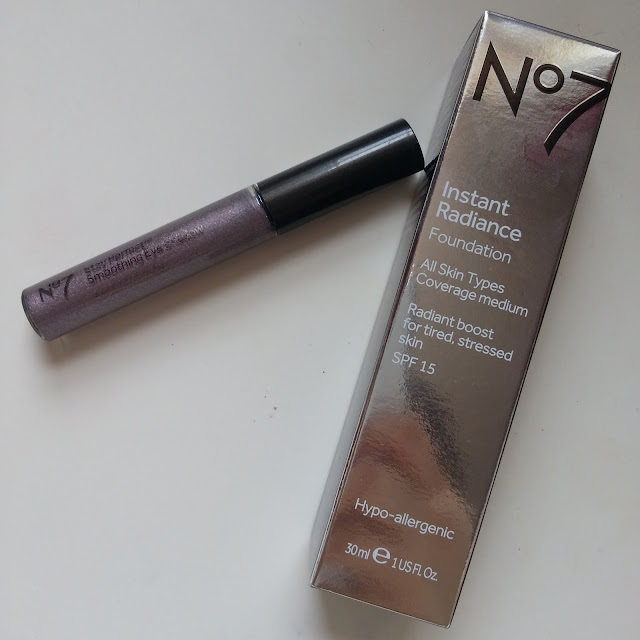 No7 makeup is currently buy one get the second 1/2 price so I was able to pick up the Instant Radiance foundation I've been wanting to try for £12.50 and get a really pretty Stay Perfect cream eyeshadow for just £4 instead of the usual £8. Finally I hit the Topshop sale. I love their jewellery and accessories and always look forward to picking them up reduced because I do find things a bit pricey for what they are otherwise. At the moment I'm loving metallic ankle socks so I picked up 3 pairs for £2 each, my favourite have to be the mint. Jewellery wise I was really restrained despite loving loads of bits and just came away with this fab green bracelet for £4.25 I just love how vibrant the colours are and that its something slightly different. So thats my payday haul. For the amount I spent I think I did really well and the only thing I paid full price for was the foundation and even that was kind of discounted over all! What have you been buying this payday? Have you been taking advantage of all the sales? That vase is so pretty! 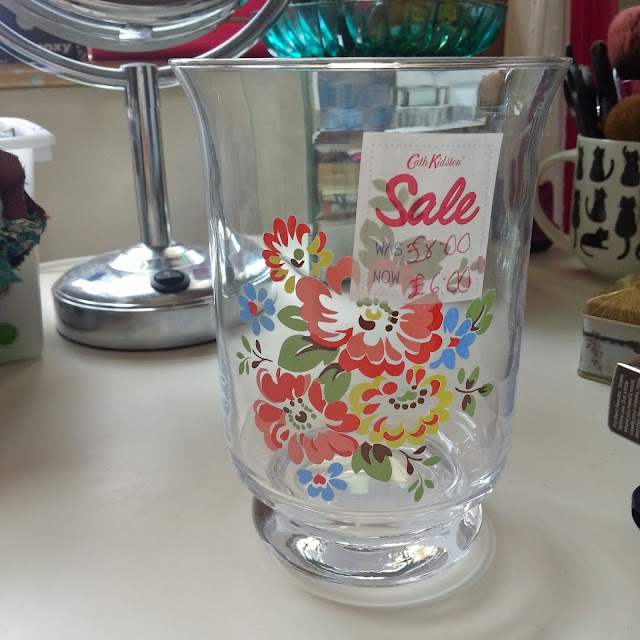 I love sales.